Are you in your twenties (or soon to be)? If I had a time machine, I’d give this advice to my younger self about finances, relationships, and life goals. Feel free to eavesdrop! Do you long for the simpler things in life? These life-changing hygge ideas prove the secret to happiness isn’t about wanting more. Pursuing a beloved past time is one of the best ways you can invest in yourself. 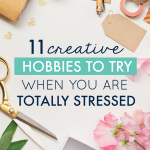 Relax with one of these creative hobbies and discover the secret to a rich, well-balanced life! 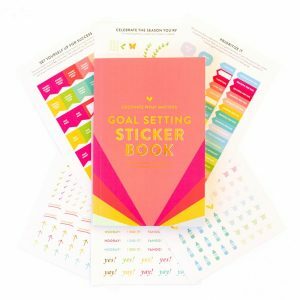 Are you over-committed? Stressed? Exhausted? Or just plain need a break? 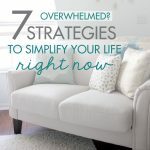 These practical strategies simplify your life so you have the freedom to streamline your schedule, create more margin for rest, and tackle your to-do list with laser focus. When you make an intentional choice to recharge your mind, body, and soul, you offer the best of yourself to the people you love most. 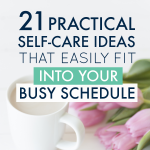 These practical self care ideas serve as a reminder to treat yourself right, and can be done in as little as 5 minutes a day! Do you want to run a 5K? Travel to Europe? 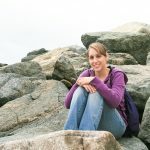 Write a book? It’s easy to make a list of things you want to accomplish, but a LOT harder to actually do them. 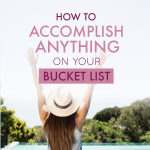 These practical bucket list tips help you achieve all your dreams, no matter how ambitious they sound! Tired of feeling tired? 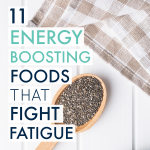 Instead of reaching for candy or coffee, try one of these energy foods to kick your body into high-gear. 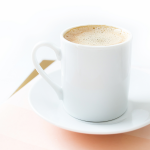 You’ll stay fueled all day long without the inevitable sugar crash, and be noticeably more alert!